The government has been keen on implementing the laptop program, a key element of the Jubilee manifesto. Last month, the government announced that the consortia of Moi University– JP SA Couto and Jomo Kenyatta University of Science and Technology (JKUAT)- Positivo BGH won the Kshs. 17 Billion tender to supply laptops. Following the awarding of the tender, the consortia begun a pilot for the project which begun on February 22nd targeting 150 schools. The schools were selected based off availability of electricity, teacher training, desks and storage of devices. The proof of concept stage will gauge the ability to deliver the devices as per the specifications. According to the tender documents, the devices include 14-inch laptops for teachers, 10 inch tablets for students, while special need pupils will have 12 inch laptops with brail key boards, head phones and an embosser. One of the key milestones of the implementation of the project was the development of the content to be taught to the pupils. 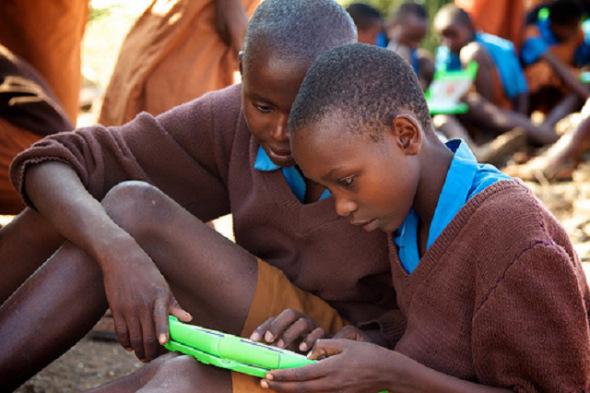 The Kenya Institute of Curriculum development has developed digital content for standard 1-3 with conversion onto a universal platform in September 2015.The content was initially to be availed through windows devices but porting it to a universal platform ensures that from any device be it an android phone, a macbook or Amazon Kindle, the student can access the content. With the proof of concept now ongoing, the government has handed over digital Content to the Consortia that won the tender to allow for installation of the same to the devices to be used in the 150 schools chosen. The digital content covers all subjects in class one and two and is available on free access on KICD interactive.